Room 1: Simplicity and tranquillity in natural tones. 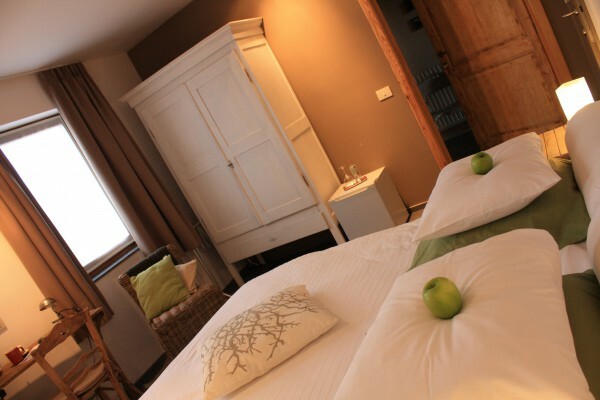 The comfortable double bed can also be converted in two single beds. The spacious walk-in shower gives you all the freedom to enjoy as you freshen yourself up. The room is also available for guests with reduced mobility and is therefore located on the ground floor. Room 2: A nostalgic outdoors character with a modern touch. The room has white-washed walls, weathered wood and a wrought iron bathroom door combined with an aubergine tint. This room, located on the ground floor, features two original and handmade oak single beds which can also be set up as a double bed. The bathroom has a rain shower. Room 3: A touch of romance. This room on the first floor has a king-size canopy bed and radiates a warm Mediterranean glow. The bathroom is equipped with a combination bath/shower and its atmosphere brings that ‘far-away-feel’ a little bit closer. In the dressing room a third bed can be converted on request. Room 4: Charm in a Belgian ‘Flamand’ tint. There are two heavenly box-spring beds. The bathroom has a combination bath/shower and washbasin in rural style. In the dressing room, a third bed can be converted on request. 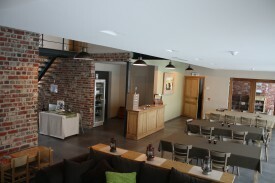 The room is located on the first floor and is connected with room 5, making this the ideal combination for a family with older children. Room 5: A fresh green tint in a cosy setting. 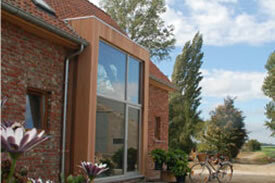 With its large window, the room gives a phenomenal view over the countryside. The bathroom is equipped with a spacious and modern bathtub and a comfortable double bed. The room is situated on the first floor and is connected to room 4, making this combination ideal for a family with older children. Discount for kids, midweek and longterm stay on request. During the weekends it's not possible to stay for 1 night. Everyone can enjoy the common breakfast and sitting room, as well as the fully equipped kitchen. Breakfast, based on artisanal and regional products, is served between 7am and 10am and is included with the room. Groups can dine through the Chef@Home formula. No experiences yet with Buytenshuys. Be the first! Did you stay in Buytenshuys? Let us know what you thought about it and help others to make the right choice! * I confirm having stayed in Buytenshuys. 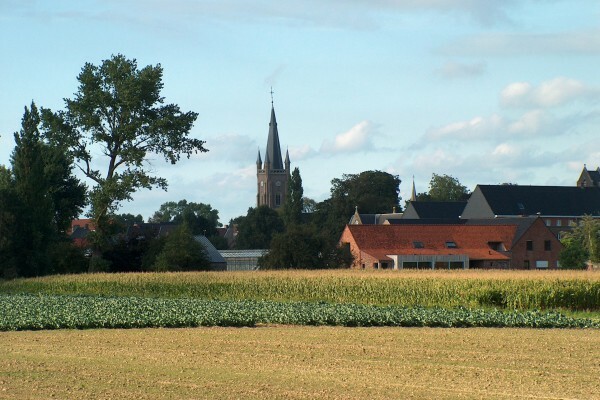 Find other bed & breakfasts in Gits, all bed & breakfasts in Westhoek (Ypres) or all bed & breakfasts in West Flanders.